Alzheimer’s disease is in the zeitgeist. Recently we’ve had Still Alice, the film that won Julianne Moore her Oscar, Anne Tyler’s new and possibly last (let’s pray not) novel A Spool of Blue Thread, and now the chilling news that it may be possible actually to catch Alzheimer’s in exceptional surgical circumstances. Meanwhile it is being said that Alzheimer’s is the new heart disease, in the sense that a few decades ago men (especially) dropped dead in their 50s and people said, ‘Oh dear,’ but accepted it as one of those things, while research into the biology showed that Something Could Be Done and now the stats have dropped through the floor thanks to awareness of smoking (bad), diet and exercise (good), not to mention the advent of statins. So there is hope that one day Alzheimer’s and dementia may be curable, or preventable, but until then in general these are subjects which touch us with fear and horror – and pity. To see and feel someone you love slipping away from you, shutting you out whilst retreating into their own narrowing parallel universe, must be heartbreaking beyond words. How to deal with it emotionally and psychologically is the matter with which My Mother is a River contends. Our narrator, whose name we never learn, also has another issue on her mind: lasting resentment of her mother Esperina for their early relationship. As she puts it: ‘Our love went wrong, from the beginning. She was too accustomed to sacrifice to allow herself the pleasure of spending time with her baby… I was not at the forefront of her mind, and I couldn’t bear it. Once older, I challenged her version of events, but I didn’t really believe her enough. She should’ve disobeyed, should’ve loved me in spite of everyone else. Taken my side. And instead the hay had to be dealt with, the ripe wheat and the hungry animals.’ Esperina came from peasant stock, her daily existence a round of back-breaking manual labour in the fields, pens and barns. So in order to work out this resentment while at the same time creating a framework for a functioning relationship with her mother in her present demented state, our narrator decides to recount to Esperina the story of her own life. In the process she may also find a degree of personal resolution. 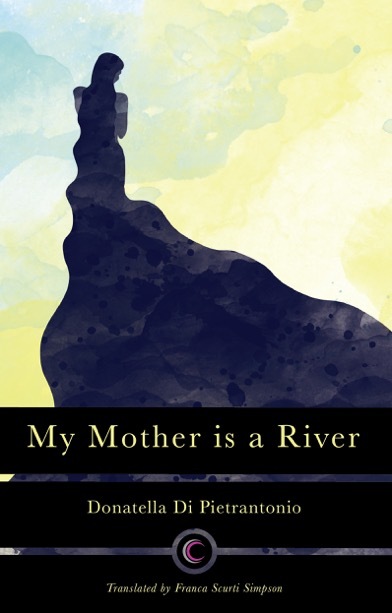 My Mother is a River is both engrossing and demanding, not least because the narrative dances about between past and present, between second and third person singular (which is to say, between telling Esperina and telling us about Esperina and the rest), all of this unleavened by dialogue. The novel deservedly won prizes in Italy where it was first published; it’s author, whose day job is paediatric dentistry, has since written a second, Bella Mia, which is also a prize-winner in Italy and which we await with interest.